Turn down Slade Alley—narrow, dank and easy to miss, even when you're looking for it. Find the small black iron door set into the right-hand wall. No handle, no keyhole, but at your touch it swings open. Enter the sunlit garden of an old house that doesn't quite make sense; too grand for the shabby neighbourhood, too large for the space it occupies. This unnerving, taut and intricately woven tale by one of our most original and bewitching writers begins in 1979 and reaches its turbulent conclusion around Hallowe'en, 2015. Because every nine years, on the last Saturday of October, a 'guest' is summoned to Slade House. But why has that person been chosen, by whom and for what purpose? Though there have ever been elements of the speculative in David Mitchell's fiction, his Man Booker Prize longlisted-last, released in 2014, was the first to fully embrace the form. Section by section, The Bone Clocks revealed itself to be "a soaring supernatural sextet" somewhat taken with time travel and very interested indeed in immortality. 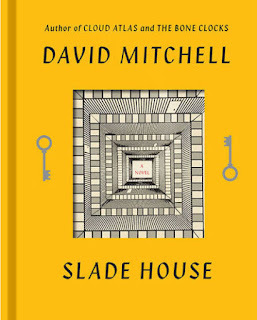 Unfortunately, the protracted finale of Mitchell's sixth made a middling meal of the same fantastical flourishes that had been so appealing when presented with more measure—an oversight I'm pleased to say he sets right in his laconic new novel. Comprised of a collection of interlinked short stories, Slade House shares a world with The Bone Clocks—such that the Shaded Way has a pivotal role to play and Spot the Horologist is the game of the day—but where said setting was once an expansive canvas spattered with the stuff of science fiction, in this book it becomes the close-cropped backdrop of a hypnotic history of haunting. For all that it has in common with The Bone Clocks, Slade House's characters and narrative notions are its own—excepting, perhaps, the presence of little Nathan Bishop, the central character of the first section of this text: an extended version of the same short Mitchell shared by way of the "diabolical treble-strapped textual straitjacket" of Twitter in the lead up to the publication of its predecessor. Reiterated, 'The Right Sort' does not stop with Nathan lost in the gorgeous grounds of Slade House, which, like the text itself, are basically "a board game co-designed by M. C. Escher on a bender and Stephen King in a fever." (p.119) Instead, he ends up in the Victorian property proper, where the owners, Norah and Jonah, proceed to essentially sup his soul. "It's not as if Norah and Jonah go 'Wooooooh' or drip ectoplasm or write scary messages in mirrors," (p.63) but they are, as it happens, as good as ghosts—or rather as bad. "For fifty-four years, our souls have wandered that big wide world out there, possessing whatever bodies we want, living whatever lives we wish, while our fellow birth-Victorians are all dead or dying our. We live on. The operandi works." 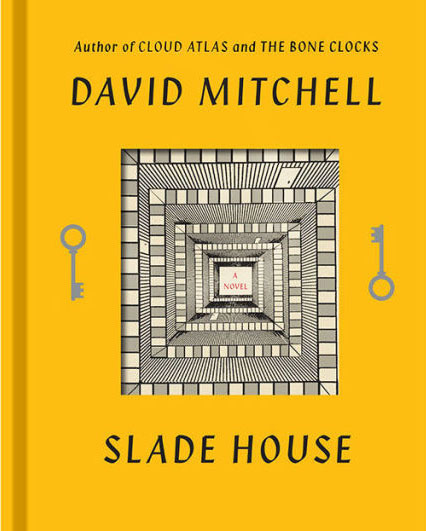 This shared fascination speaks to Slade House's only real weakness: whilst it's perfectly accessible at the outset—more so, maybe, than any one of Mitchell's earlier efforts—the longer the novel goes on, the less standalone it seems. Specifically, the last act's complicity with the complex mythology of The Bone Clocks is such that I'd struggle to recommend what is in the final summation a side story, however clever, to folks who aren't familiar with its fictional foundations. 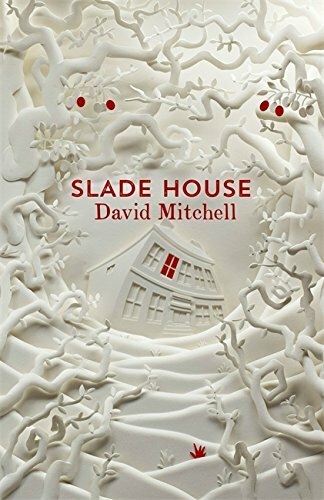 If you have read its predecessor, however, you'll find Slade House worthy of every superlative label applied to that last. Rich in resonance and delicately textured, it boasts a satisfying narrative which comes together incredibly despite the drastic differences between one section and the next, a masterfully imagined setting and a cast of remarkably realised characters, some of whom are likeable and some of whom are, let's say, less so—as is always the way with David Mitchell's fiction. Though it's only a quarter as long as The Bone Clocks, in the case of Slade House, less really may be more.